Most of the products displayed on our website are in stock unless otherwise indicated. For delivery addresses not on the UK mainland – please contact us before you place your order. We are able to arrange deliveries throughout Europe and Worldwide. We do not charge for Standard Delivery to UK Mainland retail customers. Some products must be delivered on our 2 man delivery service due to their dimensions or weight. This will be displayed clearly on the product pages as well as in your shopping basket. If we need to charge for delivery this will be clearly indicated on the shopping basket page before you add any card details. Please note: If you have any access issues (i.e. narrow country lanes, narrow drive) you need to make us aware of this in the comments box after you have input your address details. Failure to do so may incur a delivery surcharge. For a full list of available delivery options please see below. For items in stock – UK mainland delivery within 3 – 5 working days using a commercial delivery service. 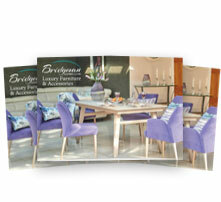 For bespoke interior items – UK mainland delivery within 6 – 8 weeks using a commercial delivery service. Orders will arrive on a wooden pallet and the delivery driver will unload and remove the pallet, but is not responsible for unpacking or setting out the furniture. We endeavour to book in all deliveries & a specific weekday can be chosen at checkout. Larger items and orders will require a signature. Please enter any requests, delivery instructions or access restrictions in the “Customer Requests” section of the Secure Payment Form which opens once you select “Checkout”. For items in stock – UK mainland delivery within 14 working days. For Scotland and the Highlands delivery could potentially take 16 – 28 depending on location; please call the office on 020 8804 7474 for more information. For bespoke interior items – UK mainland delivery within 6 – 8 weeks. Customers will be contacted to arrange a convenient delivery date. Delivery drivers will unpack, position and assemble the furniture in the room of your choice and remove any packaging. If delivery is required to Scotland or outside of the UK mainland please contact the office on 020 8804 7474. Customers are welcome to collect their orders from our warehouses in Enfield. To ensure your items are available for collection, please phone 020 8804 7474 prior to your arrival. 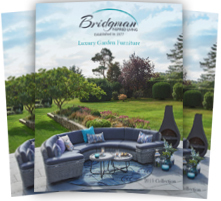 Please note, orders are not available for collection from any of our showrooms. We are able to arrange deliveries throughout Europe and Worldwide. 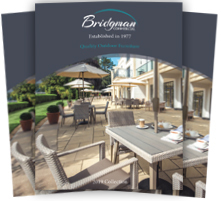 Please call +44(0) 20 88047474 to obtain a quotation or email sales@bridgman.co.uk with your delivery address and the items you wish to purchase in order for us to provide you with a detailed delivery quotation. Products will only be left at the delivery address without the recipient’s signature if you have specifically requested this and by so doing, you accept all liability as to the completeness and security of the goods. In this case we will not accept any claims for short or non-delivery of your order. Should delivery be refused at the delivery address and re-requested for another date, we may charge for the second delivery, as we met our delivery obligations with the initial delivery attempt. It is the recipient’s responsibility to sign for the correct number of packages as shown on the carrier’s delivery consignment note. Shortages must be noted on the consignment note where possible. You should notify us of the shortages within 3 days of delivery. If boxes look damaged on delivery we recommend the contents are inspected before accepting and signing the delivery note.